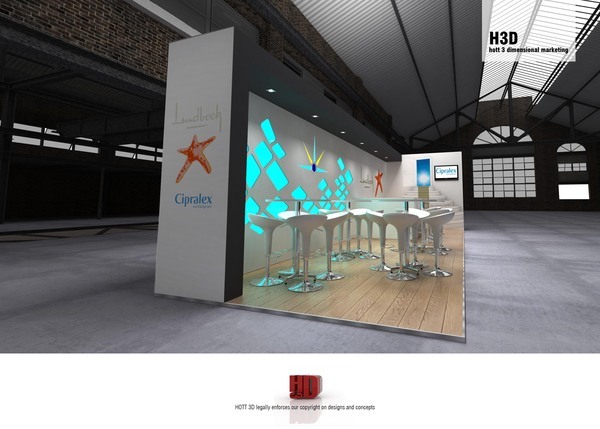 Hott3D has been extremely busy in 2012, building exhibition stands around South Africa. 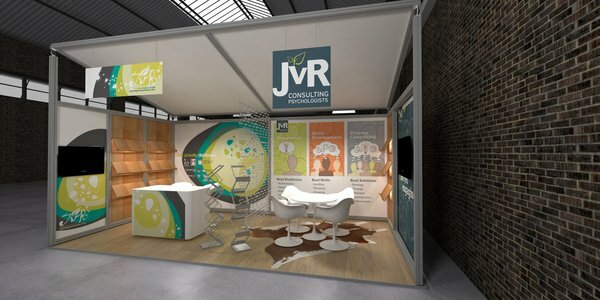 We thought we would give an update on some of our Exhibition Trade Show Design Ideas & Materials, that we have used for our clients in 2012. 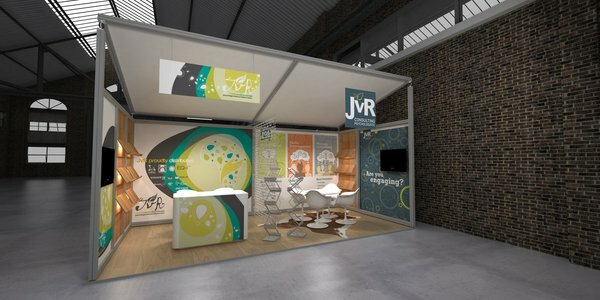 As AfricaCom 2012 nears, we are full steam ahead planning for a large amount of stand building at this years exhibition. 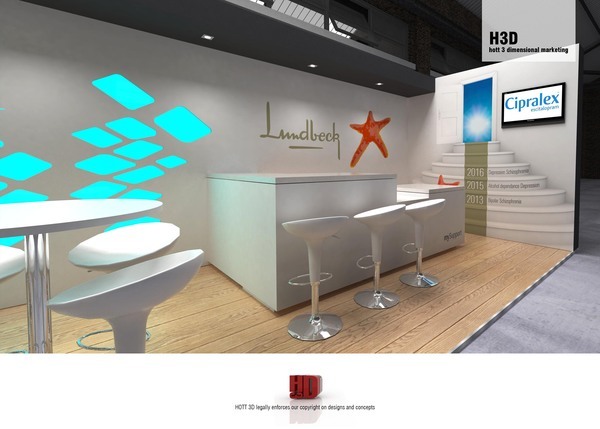 We will be building around 20 exhibits this year ranging from Budget Exhibit booths to full custom exhibition stands that involve extensive constructions. 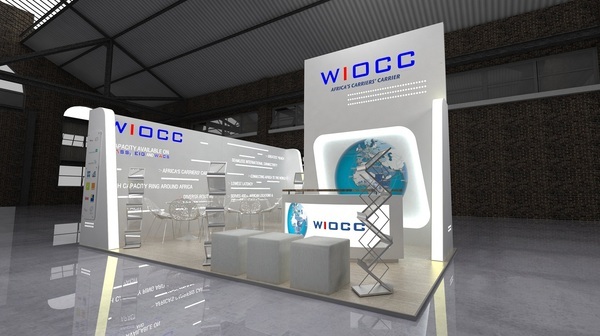 WIOCC was one of our favorite stands of 2011 and this year the booth has been upgraded to include further custom features. 6. …and most importantly an Nguni cowskin rug and a custom bead curtain. Using Octanorm Maxima as the base structure we utilized a combination of clad and inserted panels to create backlit effects that highlight the product logos. Flooring consists, very simply, of astroturf. 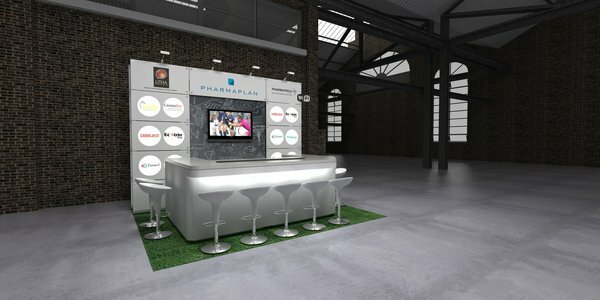 A large custom barcounter serves as both a meeting point as well as a platform for dispensing a bar service and snacks. Behind the bar is a chalkboard wall featuring sport icons from Super 15 rugby, The British Open Golf as well as the current Test Cricket between England and South Africa. The plasma has daily footage of these and other major sporting events. 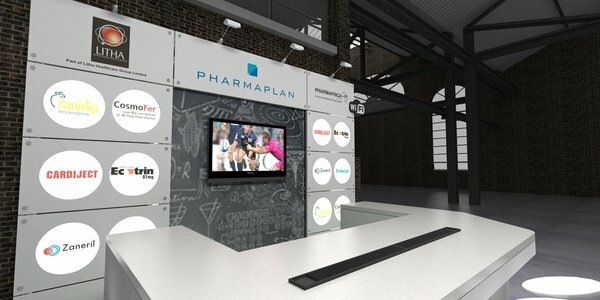 This exhibit uses component already existing from other shows previously done for Pharmaplan. They can be re-used and reconfigured due to the modularity of Octanorm. 1. A bar service of beverages, small cooked treats and ice cream. 2. 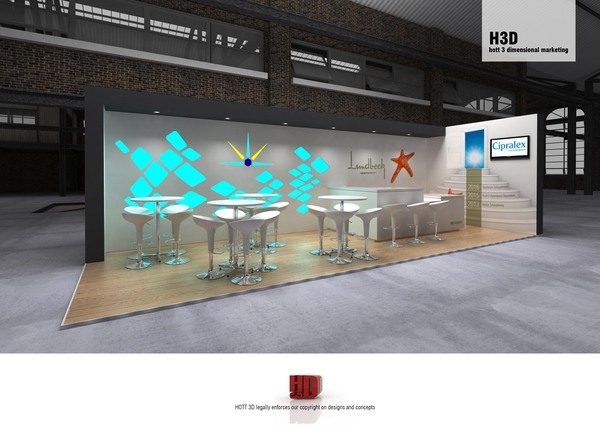 Multiple seating to allow for delegates to enjoy the refreshments as well as sit down at tea and lunch breaks. 3. Satellite TV signal – most important that the rugby game this weekend between South Africa and Australia be broadcast so that delegates can watch even though they are not at home. 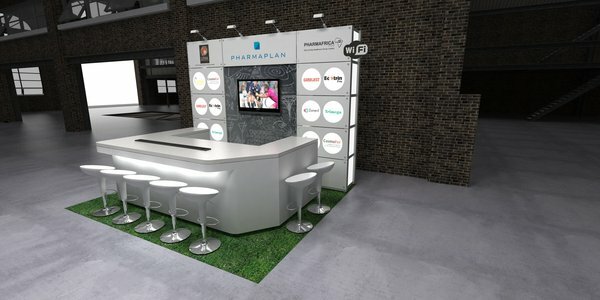 The design of the stand was simply done, but with key features that created an impactful and very open/ accessible layout. – Laser cut, backlit “water and sunrise” relating to Saphris Sycrest. – As much seating as possible.